You can almost smell the corn dogs in the air and hear the music blaring from the Ferris wheel. It’s that time of year in South Dakota when we all embrace a bit of a break. Farmers and families take the chance to get away before the labor of the harvest ahead, while kids get in one last hurrah before going back to school. It’s fair season. 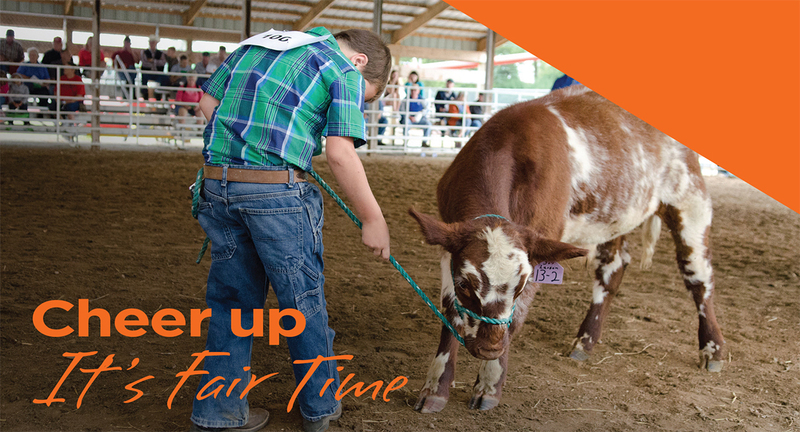 Fairs bring countless benefits to our communities: positive economic impact; an opportunity to exhibit your produce, crafts and hobbies; a chance to learn something completely new; a glimpse at our future generation of farmers and business people; and a whole lot of laughter. But the sounds of fun on the midway or cattle bellowing in the livestock barn aren’t just noise, they’re the sounds of our agricultural and local communities coming together to celebrate a common heritage. A place where multiple generations and lifestyles intersect. In digging into the history of South Dakota’s fairs, we also asked people of all walks of life to share why fairs are so important. The Turner County Fair in Parker has been in action since October 1880 when it held its first official fair, a smash hit by all accounts until day three. The weather rapidly deteriorated into a blizzard, sending attendees rushing for home. Some even hid in between haystacks to take cover from the elements. The Turner County Fair has seen a lot since then: prairie fires, World War II, a polio epidemic that cancelled all 4-H activities and a 2003 tornado that left the fairground in shambles. Volunteers rallied to make sure the show would go on and, consequently, Turner County saw record attendance that year in a dramatic show of support. 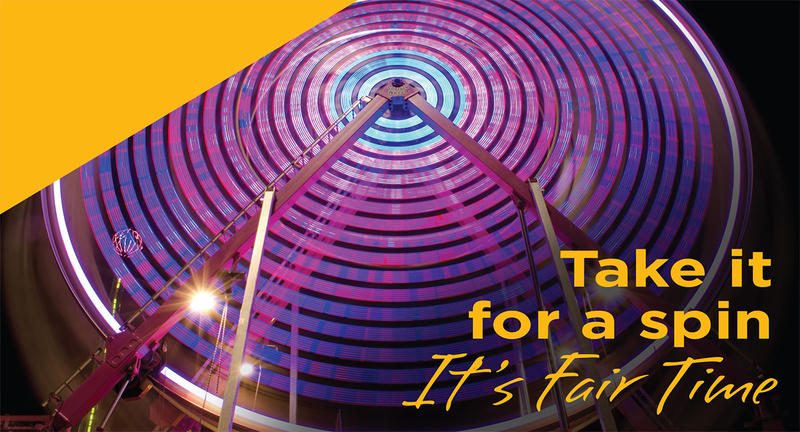 Today, the fair is widely know for being the “Best Four Days of Summer” featuring a variety of local foods, spectacular nightly car races and exhibits rich in local history. 2017 will mark the debut of a new exhibition building that has allowed the fair to increase the number of commercial exhibitors. The building was built through individual and business donations. The South Dakota State Fair actually began in — North Dakota. In 1885, the Territorial Legislature in Bismarck, North Dakota, approved a legislative act to appropriate $5,000 for an annual “exhibition.” The fair moved around to various cities until landing in Huron in 1905. Land near the railway was deeded to the fair, a grandstand from Yankton was imported and several new structures were erected to construct the fair’s permanent home. For all its growth throughout the years, the South Dakota State Fair has also endured its challenges. 1977 saw the worst fire in the fair’s history, destroying the feed and forage building, with approximately 93,000 people on the fairgrounds at the time. Heavy snowfall collapsed the 4-H beef barn in 2001. But the fair was not deterred. Today’s State Fair even boasts a city within a city, hosting approximately 2,000 campers each year. By comparison, the Sioux Empire Fair is the youngster on the block with an origin dating back to the late 30s when Mrs. Winona A. Lyon donated 50 acres of land west of the Big Sioux River. The fair has since grown in attendance to over 320,000 annually. Held on the W.H. Lyon Fairground in Sioux Falls, it is the state’s most urban fair, presenting a great opportunity for farm residents to take in city life and city residents to learn more about agriculture, all while having a lot of fun doing it. Known for its high-profile evening concerts, the Sioux Empire Fair also continues to be big into advocacy. This year’s fair again featured an Ag Appreciation Day, as well as days dedicated to conservation and honoring our military. 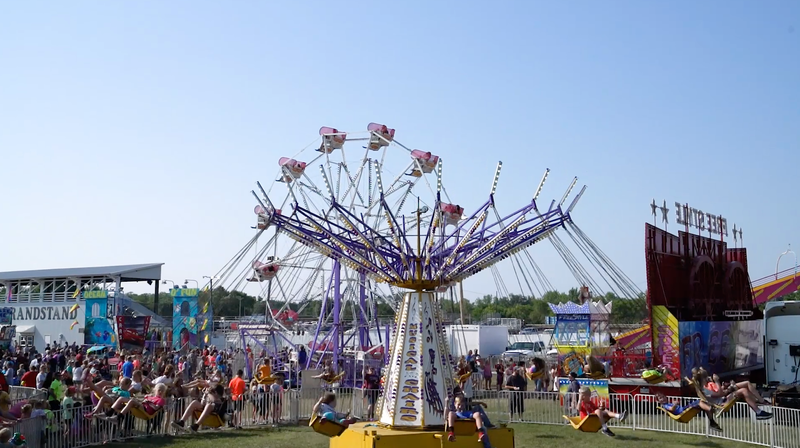 While an event the size of the Sioux Empire Fair is months and months of budgeting, planning and logistics, the connections that happen at the fair are spontaneous. 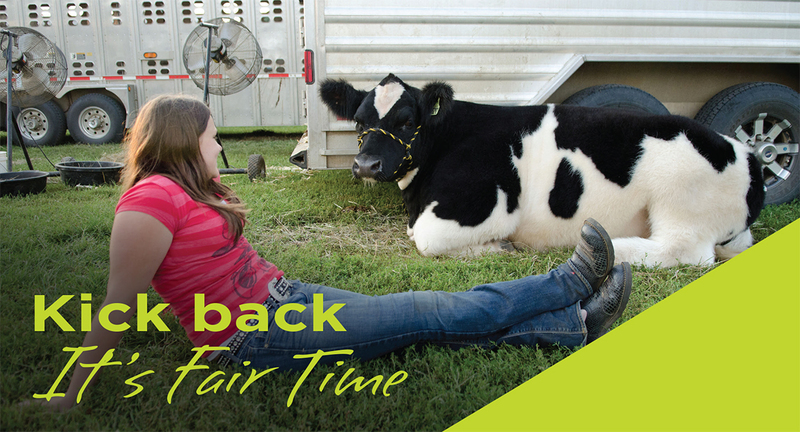 Fairs are one of the rare places where there’s something for everyone, and everyone loves coming back. And when agriculture and community meet, that’s a fine fair — and a fine way of life.